ISD’s innovative global education programmes and resources build the resilience of young people to hate speech, misinformation and extremism through the development of vital skills, from critical thinking to social and emotional learning, on and offline. Our research has shown that education plays a critical role in undermining the appeal of propaganda, hateful and extremist ideologies, disrupting their impact at the roots. 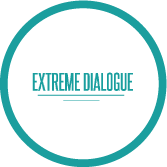 Extreme Dialogue is a series of interactive educational resources for teachers, youth workers and others working with young people. They centre on compelling films that tell the first-hand stories of former extremists and survivors of extremism. ISD’s Digital Resilience programme helps build the resilience of young people to extremist grooming and propaganda on social media. 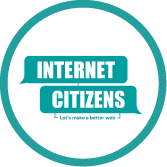 Be Internet Citizens, developed in partnership with Google, is ISD’s pioneering digital citizenship programme in the UK. It seeks to build young people’s resilience to hate and extremism online and we are currently running school workshops and training to support independent delivery of the curriculum across the country.